Stephen Spender. Spender, Stephen, photograph. © Jerry Bauer Reproduced by permission. 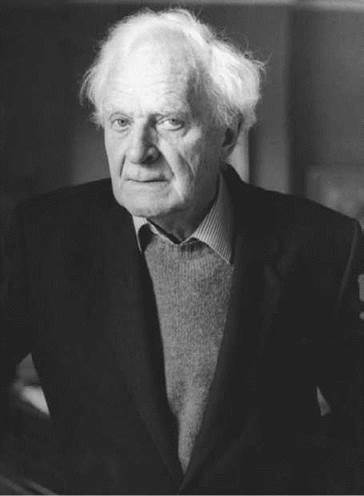 Stephen Spender is best known as a member of the generation of British poets who came to prominence in the 1930s known as the Oxford Poets. Like others in the group, Spender wrote with a social and political consciousness, reflecting such turbulent events as the Great Depression, the Spanish Civil War, the rise of fascism, and World War II. After the Second World War, Spender produced less poetry and concentrated on critical and autobiographical writing, editing, and lecturing at universities in England and the United States. Early Loss of Parents. Stephen Harold Spender was born February 28, 1909, in London, to Harold Spender, a liberal political journalist, and his wife, Violet Hilda, an invalid who painted and wrote poetry. Both parents died while Spender was still an adolescent. The Spender family was of mixed German, Jewish, and English origin. Spender did not discover his Jewish ancestry until he was sixteen. The discovery confirmed his lifelong sense of himself as an outsider. From Oxford to Weimar Germany. After transferring from a boarding school to University College School in Hampstead, Spender went to University College at Oxford. At Oxford in the late 1920s, Spender felt isolated, despite developing a close friendship with W. H. Auden. Spender printed his first volume of poetry, Nine Experiments: Being Poems Written at the Age of Eighteen (1928), on his own handpress. He later destroyed copies of his early efforts, but several of the poems he wrote between 1928 and 1930 would appear in his volume Poems published in 1933. In the summer of 1930, before his senior year, Spender left Oxford without a degree and followed fellow writer Christopher Isherwood to Germany. Sexual liberation, artistic rebellion, and social unrest were prevalent in the last years of the Weimar Republic. (After the end of World War I, the defeated Germany was forced to give up its colonies and territories won in the Franco-Prussian War, nearly totally disarm, and pay reparations. Germany also became a republic, governed under the liberal Weimar constitution. Though Germany was a liberal country in this period, it also faced serious economic and social dislocations and, by the early 1930s, an economic depression.) There, Spender began writing a novel—The Temple, which would not be published until 1988—about a young Englishman in Germany, enjoying his youth, but concerned about the rising Nazi movement. Rise of Hitler Affects Poems. In 1933, Adolf Hitler and his National Socialist (Nazi) Party came to power. A fascist, Hitler converted the republic into a dictatorship, consolidated Germany’s position at home and abroad, and began a military expansion. Like many young English intellectuals, Spender watched with horror the onset of fascism in both Berlin and Vienna. Spender’s first important volume, Poems, was published in 1933. This collection exemplifies the social and political concerns of the time and triggered Spender’s career. He became recognized as a major poet and literary celebrity. The following year, Spender produced Vienna (1934), a long poem that blends details of the fascist suppression of socialist insurgency in Austria with his own personal conflicts. Spender also wrote outside of poetry in his most prolific decade, the 1930s. His first book of prose was The Destructive Element (1935), a work of literary criticism on such authors as Henry James, W. B. Yeats, T. S. Eliot, James Joyce, and D. H. Lawrence. A book of short stories, The Burning Cactus (1936), is reminiscent of Lawrence in its intense, suppressed emotion. He also authored a five-act, antifascist verse drama, Trial of a Judge (1938). His only full-length novel, The Backward Son (1940), is a thinly disguised autobiographical account of English boarding school life, which he hated. His poetry continued to be significant as well. The Still Centre (1939) is based on Spender’s experiences in Spain and records his growing detachment from communism. The Spanish Civil War poems resemble the World War I poetry of Wilfred Owen in their rejection of the heroic idea of war. The Still Centre is a key volume in Spender’s poetic career because, in its pages, Spender turns from public, political verse back to his private, personal attempt to convey the ‘‘felt truth’’ of reality. From Poetry to Prose. In 1939, Spender and Cyril Connolly became coeditors of a literary magazine, Horizon. Barred from military service for health reasons during World War II (which broke out when Germany invaded Poland in 1939, compelling both Britain and France to declare war), Spender served in the London Auxiliary Fire Service. He published two poetry collections during the war. Poetry occupied a lesser place in his postwar career, as he turned increasingly to literary criticism, political and historical works, translations, and autobiography. During the 1950s and 1960s, he held visiting professorships at several prestigious American and English universities and traveled the world as a cultural ambassador with the United Nations’ cultural organization UNESCO. From 1970 to 1977, he was an English professor at University College, London. Postwar Life. Spender contributed to The God That Failed (1949), an essay collection by disillusioned ex-Communists, including Arthur Koestler, Andre Gide, and Richard Wright. Spender and Irving Kristol cofounded a transatlantic, anticommunist periodical called Encounter in 1953. He resigned after fourteen years as an editor when he discovered that the publication was covertly funded by the U. S. Central Intelligence Agency. Spender wrote several volumes of criticism in his later career, including The Creative Element (1953), a companion piece to his earlier The Destructive Element. In The Struggle of the Modern (1963), Spender portrays literary modernism as an endeavor to reconcile the past and the present, and heal the divide between art and life. He also produced several volumes of autobiography, journals, and collected letters, most notably the 1951 memoir World within World, a valuable document of literary and cultural history that re-creates the social and political atmosphere of the 1930s. This book exemplifies the commitment to honesty and candor of an author who claimed that all of his art is essentially autobiographical. At its publication, the book created a stir for Spender’s frank disclosure of a homosexual relationship he had before his first marriage in 1936. Accused Author of Plagiarism. Spender continued to write poems and nonfiction throughout his life, though his poems were published more sporadically. Later collections include The Generous Days (1969). In 1994, a year before his death, Spender sued American author David Leavitt for plagiarism, alleging that Leavitt had modeled his novel While England Sleeps on events from Spender’s life. Leavitt made editorial changes and the case was settled. Spender died in London on July 16, 1995. W. H. Auden (1907-1973): This British American poet was the most celebrated member of the Oxford Poets. His poetry centers on moral issues and evidences strong political, social, and psychological orientations. Auden's books include The Orators: An English Study (1932). Albert Camus (1913-1960): This leading French Algerian author and philosopher won the Nobel Prize in Literature in 1957. He explores his absurdist/existentialist beliefs in the essay, ''The Myth of Sisyphus'' (1942). Christopher Isherwood (1904-1986): This British American novelist and playwright was best known for his stories of Weimar Germany. Such stories were later adapted for the play I Am a Camera (1951), by John Van Druten, and the stage musical Cabaret (1966), by Joe Masteroff, Fred Ebb, and John Kander. Pablo Neruda (1904-1973): This Chilean poet and Communist politician was also the Nobel Prize winner in literature in 1971. His poetry collections include Twenty Poems of Love and a Song of Despair (1924). John Steinbeck (1902-1968): This popular American Nobel Prize-winning novelist wrote such classics as Of Mice and Men (1937) and The Grapes of Wrath (1939). The latter won the Pulitzer Prize in 1940. Spender’s poetics reflect three major influences. The first is the Romantic poets; Spender’s ethereal lyricism and youthful idealism made him something of a twentieth- century Percy Bysshe Shelley. A second influence comes from the modernists of the generation preceding his, such as Rainer Maria Rilke, W. B. Yeats, and, especially, D. H. Lawrence. Lastly, his Oxford cohorts, primarily Auden and Isherwood, shaped his understanding of the poet’s role in commenting on society. The so-called ‘‘Auden generation’’ reacted against the chilly esotericism of T. S. Eliot, insisting that poetry should be clear, accessible, and engaged with the issues of the day. Yet Spender’s career exemplifies the split between personal and political life his generation felt. Even while they were transforming British letters with their brazenly political verse, at some level Spender and his colleagues felt divided between the artistic muse and the urge to confront fascism. The struggle to connect outer and inner reality is, in fact, Spender’s overarching theme. The ‘‘Pylon Poets’’. Spender’s name is invariably associated with that of W. H. Auden, perhaps the most famous poet of the thirties, whose renown surpassed Spender’s. The two poets were dissimilar in many ways, but they burst upon the literary scene at the same time and earned the collective name of the ‘‘pylon poets.’’ The term refers specifically to ‘‘The Pylons,’’ a poem by Spender, which many critics described as typical of the Auden generation: images of the ugliest features of the urban-industrial landscape reflecting political and social concerns. This felt obligation constrained the spontaneous lyricism of Spender’s early verse. Style. Critics have called the Auden group politically radical, yet formally conservative. Spender was slow to break free of formal poetic conventions. He preferred truncated, sonnetlike structures. Yet as he developed, he used less rhyme or meter and drifted toward free verse. The sound of his poems is distinctive, although he uses few seductive aural techniques, such as alliteration, assonance, full or near rhyme, or regular rhythms. The imagery, though painterly, often lacks concreteness. One weakness of his poetry is a tendency toward rhetorical abstraction. Inner and Outer. The autobiographical impulse is obvious in Spender’s poetry. Its obsessive theme is an introspective search for a valid, sustaining faith, a coherent approach to uniting the self with the world, the personal with the political. In The Destructive Element, Spender argues that the prose of Lawrence successfully balances the inner and outer worlds. Spender sought to emulate Lawrence in his poetry. This search for a united, integrated self is notable in The Still Centre, especially in the poem ‘‘Darkness and Light.’’ The poem reflects the ambivalence and conflict between opposites that has so bedeviled Spender’s life; they are reconciled within the poem, but not in life. Influence. As a leading poet of the twentieth century, Spender influenced poets that followed him, especially through the idealism that runs through his poems. As a lionized writer, a respected critic, an important player in cultural politics, and a university lecturer, he was much read, observed, respected, and emulated by practicing poets. Dylan Thomas found licenses for his subjectivity in Spender’s exploration of the ‘‘I.’’ Spender also encouraged and helped Thomas. Philip Larkin, Charles Tomlinson, Ted Hughes, and Seamus Heaney were also believed to be affected by Spender’s work. Some critics believed that his autobiography and criticism had more influence on later authors as they revealed what it was like to be a poet in Britain in the 1930s. Spender's political poetry reflects the social upheaval of the 1930s, as do these other key literary works from that decade. Brave New World (1932), a novel by Aldous Huxley. The dystopian classic is about a society happily tranquilized by government-issued drugs. The U.S.A. Trilogy (1930, 1932, 1936), novels by John Dos Passos. These three experimental novels reflect a pessimistic view of American life in the early twentieth century. Nausea (1938), a novel by Jean-Paul Sartre. In this philosophical work, the overwhelming nausea experienced by the protagonist is a clue to the nature of existence. Homage to Catalonia (1938), a nonfiction book by George Orwell. A first-person account of the Spanish Civil War was written by one of England's leading political journalists and a well-known novelist in his own right. Spender’s verse is admired for its lyrical transcendence and powerful imagery. However, some deride his poetry for its excessive idealism. The acclaim he earned as a young man, and the romantic image he developed in the 1930s, cast a shadow over the remainder of his career—as did the far greater acclaim that went to his friend Auden. After his first success with the 1933 Poems, Spender showed promise of becoming one of the century’s greatest poets. Some critics, surveying his career as a whole, contend that he is an overrated poet who failed to realize his potential. Spender published some below-average volumes of poetry, and response to his critical prose has been decidedly mixed. Critic V. S. Pritchett observes that Spender’s ‘‘insights are better than his arguments and he is best when he proceeds, as we would expect a poet to do, by vision.’’ Critics have taken more kindly to his autobiographical prose, especially to World within World. The relentless, public self-examination found in his body of work is, for some, his greatest contribution to twentieth-century letters. Critics note that Spender’s poetic and political attitudes, developed in the 1930s, continued to influence the poet throughout his life. Over time, Spender became increasingly identified with that decade, as it became clear that none of his subsequent writing would surpass the vividness of his early work. By the end of the 1950s, his work had fallen out of fashion. The common perception of Spender was that he was a figure from the past. His postwar drift from political radicalism to mainstream liberalism, and his years as an international spokesman for free speech, gradually mellowed his reputation. After the passage of still more time, Spender now appears as a symbol of the decade he helped to define. 1. In an essay, address the following question: What similarities do you identify between Spender’s poetry and that of Percy Bysshe Shelley, with whom he is sometimes compared? 2. Citing two or more of Spender’s works, explore in a paper how Spender addresses the theme of integrating the self with the wider world. 3. In a chart, list the images and allusions in Vienna and discuss how the poet sees the world. 4. Research the role of antifascist volunteers in the Spanish Civil War. In a paper, contrast the account of the war with the war images in Spender’s poems and discuss how the poet views the broad significance of the fight. 5. In a paper, write about the relationship between personal and political expression in poetry, providing a careful reading of one or several of Spender’s early poems. Connors, J. J. Poets and Politics: A Study of the Careers of C. Day Lewis, Stephen Spender and W. H. Auden in the 1930s. New Haven, Conn.: Yale University Press, 1967. Fraser, George S. Vision and Rhetoric. London: Faber & Faber, 1959. Hoskins, Katharine B. Today the Struggle: Literature and Politics in England during the Spanish Civil War. Austin: University of Texas Press, 1969. Hynes, Samuel. The Auden Generation: Literature and Politics in England in the 1930s. London: Bodley Head, 1976. Isherwood, Christopher. Christopher and His Kind, 1929-1939. New York: Farrar, Straus & Giroux, 1976. Kulkarni, H. B. Stephen Spender: Poet in Crisis. Glasgow, Scotland: Blackie, 1970. Maxwell, D. E. S. Poets of the Thirties. London: Routledge and Kegan Paul, 1969. Press, John. A Map of Modern English Verse. London: Oxford University Press, 1969. Scarfe, Francis. Auden and After: The Liberation of Poetry, 1930-1941. London: Routledge, 1942. Sutherland, John. Stephen Spender: The Authorized Biography. London: Viking, 2004. Weatherhead, A. K. Stephen Spender and the Thirties. Lewisburg, Pa.: Bucknell University Press, 1975. Fuller, Roy. “Ungenerous Measure.’’ London Magazine, February/March 1972: 145-46. Stanford, Derek. Review of The Generous Days. Books and Bookmen, January 1972: 64-65.